Seeking to balance cuts while maintaining U.S. competitiveness and facing pressure from Republicans seeking even bigger reductions, President Barack Obama said on Monday his proposed 2012 budget was a down payment, on reducing the federal budget deficit, but said more work was needed to address long term challenges. He called the proposed cuts essential to live within our means as he highlighted the need to continue to invest in education even as budget trimming went on elsewhere. The 2012 budget won't be enough to meet long term challenges, he said, saying discussions between Democrats and Republicans were needed on how to reduce domestic spending, health care costs and spending through tax breaks and loopholes. Obama's speech included some previously announced cuts. 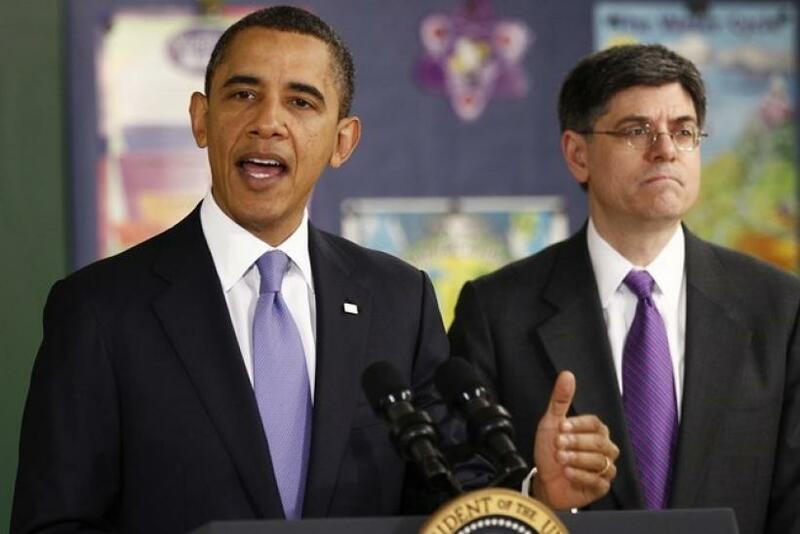 Obama's budget director, Jacob Lew, is expected to go into more detail at a separate press conference later today. So far, however, it is known that some of the cuts include programs for low income people and education in a budget that will cut the federal deficit by $1.1 trillion over the next 10 years. In the near term, however, the $3.73 trillion spending plan in 2012 would be accompanied by a $1.1 trillion deficit. However the proposed plan sees the largest-ever budget deficit of $1.65 trillion for fiscal 2011, which will end in September. The President noted his budget contains a freeze on annual domestic spending over the next 5 years that will create $400 billion in savings over the next 10 years. He said that doing so would reduce the share of federal spending not related to security programs to their lowest level as a percentage of GDP since the Eisenhower administration. The government would also get rid of property it's not using, thereby boosting its efficiency and reducing waste, he said. The budget freeze requires making tough choices on things I care about, citing cuts to community action programs and Community Development Block Grants. CDBG's let communities address a wide range of unique community development needs, according to the Dept. of Housing and Urban Development. The budget also includes $78 billion in cuts to the Defense Department and reductions on wasteful spending for healthcare. The cuts only reduce growth in the Defense budget. Obama said he looked to working with members from both parties on the budget. We can't sacrifice our future in the process, he said. He said the U.S. was responsible for investing in the future, adding that this was especially true for education. Obama made the announcement during a visit to a middle school in Baltimore Maryland focused on engineering, and environmental science - Parkville Middle and Center of Technology. Obama said the most common degree for business leaders today is not finance and business but engineering. Lew said Sunday that the interest rate on graduate school federal loans will start building while students are still taking courses. Currently, interest does not start accumulating, until after graduation. While acknowledging the need to reduce the federal deficit, the President has set out a priority for spending government funds to make U.S. businesses and workers more competitive globally. Obama is not planning on government doing all the lifting needed to get the economy going through the budget alone. Last week, he called on U.S. businesses to invest in the country - currently sitting on about $2 trillion in assets - urging them to contact his business council if they had concerns about why they shouldn't, ahead of the group's first meeting later this month. The federal government has just over $14 trillion in debt. The budget deficit proposed by Obama on Monday exceeds the expectations of the non-partisan Congressional Budget Office which had anticipated a deficit of $1.5 trillion for fiscal 2012. Meanwhile, Republicans are still seeking to make cuts to what remains in the 2011 fiscal year, a which may be a preview of the type of cutting they'll seek in Obama's 2012 proposal. While Republican leaders promised to pursue even bigger federal budget cuts last week to the what remains of 2011, an initial proposal last Wednesday shows job training programs, a fund to upgrade federal buildings and the Environmental Protection Agency will see some of the biggest reductions. Full details of a formal proposal to fund the government until September 30 will be made in a bill set to be introduced at a later date. Rep. Hal Rogers, R-KY, the head of the House Appropriations Committee said his group would propose $100 billion in cuts for the remainder of the year. Some Republicans backed by the Tea-Party have proposed cuts to the 2011 budget much larger than the Republican leadership, Sen. Rand Paul, R-KY calling last week for $500 million in savings.